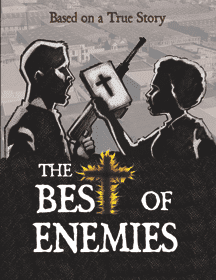 Based on a true story, The Best of Enemies by Mark St. Germain tells the story of an African-American civil rights leader and the Exalted Cyclops of the Kl Klux Klan who are forced to work together (mandated by the federal government) to integrate their small North Carolina town fifteen years after Brown v. Board of Education. While the two can never be friends, they find common ground and forge an unlikely alliance. The show opens September 19 and runs through October 18 at the Colony Theatre in Burbank. Tickets are on sale now.